It is a very stressful time when someone dearly loved in a family passes away. Most people would not be in their right faculties when suddenly confronted with this situation. You wouldn’t expect a person to think straight and plan a funeral service when he is under stress. That is why many blunders happen in a funeral service because of this human frailty. Even then, it would be good to be prepared for such an eventuality so that if it happens, you would know what to do. Therefore, it is good to be aware of the most common mistakes people commit when planning a funeral service when they are under stress. Here are two mistakes to avoid when planning a funeral service. When you are forced in a situation, such as the need for a funeral service, your mind will not be working normally, even if you don’t want it that way. And it is in this condition that you are most vulnerable to suggestions and hints from those who are offering funeral services. There are two things that you need to remember if you are faced with this situation: 1) no one should ever force anything to you without your approval, and 2) you need to examine everything closely before you approve them. And asking questions will help you avoid anything that you don’t want from happening in a funeral service. So, whenever a funeral service provider is offering you something, always ask questions that will reveal the important things about what they are offering. It will be a great help if you will have a trusted friend by your side, one who will be able to sort out everything while you are in distress. Your friend will not be as stressed as you are, so he will be able to supply you a logical mind that can sift through the many mazes that the funeral service provider might present for your consideration. You need to ask the right questions and insist on the exact answers with no ambiguities. If anything in the service contract is unclear, ask the service provider to clarify it. And insist that only those things that you have approved will be included in the contract. See to it that everything in the contract is what you really need and nothing more, before you sign your name on the dotted line. That’s why a trusted friend by your side is very important in this situation. Great if you have a well-organized funeral service. But what happens after that? We all know that relatives, friends, office mates, and acquaintances are all there during the wake and culminating funeral service. During the days immediately after the loss of a loved one, there’s usually never a moment when the grieving is not being soothed by a relative, a friend or an acquaintance. But when the casket is already buried six feet below the ground and the grieving family member goes back to an empty home, what then? He or she will again feel the great loss. The memories of the loved one will flow back again, and the grieving will be back to square one. All the sympathizers have gone back to their merry lives, while the grieving is left nurturing her feelings alone. The mistake of focusing only on the funeral services, and not thinking about what will happen next is a mistake that can be corrected in many ways. 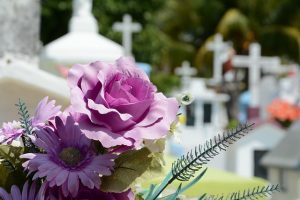 One way is to contact a service provider that does not only provide its services for the funeral proper, but also offers help after the burial. There are service providers which offer what is called “aftercare” services. They know that grief is persistent and does not stop but gets even stronger after the burial. Grief can last for months and even years after the funeral service. Considering this, some service providers offer follow-up assistance and/or counseling to the customers they have served. Some even invite their former clients to special events like Thanksgiving, Memorial Day, Christmas and other holidays to help them resolve their grief. These service providers show that they are really after the welfare of their customers since they know that most people commit the mistake of preparing only for the funeral service and not what happens after. In other words, include this qualification if you are searching for the right funeral service provider to hire. How To Create a Great Funeral Burial And Cremation, What Are Their Pros and Cons?